A top cop helped put a thug behind bars after the offender had been spotted brawling in the street and attacking a passer-by after an England World Cup football match. Chesterfield magistrates’ court heard on Thursday, July 5, how Kyle Barry Swadling, 22, of Hunter Road, Belper, had been spotted fighting in the road before he turned on a man on King Street, Belper, who had tried to calm him down. Pictured is Kyle Barry Swadling, 22, of Hunter Road, Belper, who has been jailed for 18 weeks after committing three assaults. But Swadling got more than he bargained for when off-duty Derbyshire Constabulary Chief Superintendent, Graham McLaughlin, stepped in on June 28 to restrain Swadling and he was forced to punch the defendant three times to stop him from struggling. Mrs Allsop added that Mr Stapleton described Swadling as chasing the other male who got into a BMW and as Swadling tried to chase the car he slipped and banged his head on the car boot. Swadling ran down King Street towards Mr Stapleton who tried to calm him down, according to Mrs Allsop, but the defendant turned on him punching Mr Stapleton repeatedly around the head breaking his spectacles. Off-duty police officer Mr McLaughlin stated he had seen Mr Stapleton break-up the original fight and had seen Mr Stapleton being attacked before he stepped in and had his mobile phone knocked to the ground. Mrs Allsop added that Mr McLaughlin got hold of the defendant’s arm and was helped by Mr Stapleton as he told the defendant he was a police officer and informed him he was being arrested. 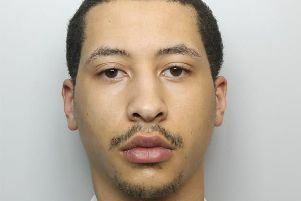 However, as Swadling repeatedly tried to bite Mr McLaughlin and break free the off-duty officer stated that he was forced to punch the defendant three times. Mrs Allsop said Mr McLaughlin said the force he had used was no more than was necessary to protect himself and the public. Swadling, who works for a decking firm, pleaded guilty to two counts of assault by beating after the incident on June 29 and he also admitted damaging Mr McLaughlin’s mobile phone and failing to surrender to court. The court heard that Swadling had only just been given a community order days before after he had assaulted the landlord of The Greyhound pub, in Belper, in June, by grabbing him around the throat. Defence solicitor John Wilford said all the matters are drink-related and he claimed Swadling is not a man who drinks constantly and he had not had a drink for three months before he attacked the pub landlord. Mr Wilford added that during the second incident, Swadling had been out with his brother and a friend to watch the England game against Belgium and he had consumed eight to nine pints of beer. Swadling, who made no comment to police after his arrest, later claimed his drink had been spiked and he could not remember what had happened. Mr Wilford also claimed Swadling had been knocked to the ground during the fight with the BMW driver which had been spotted by Mr Stapleton. He added: “Mr Swadling is very upset by his behaviour and he is very remorseful and he’s quite clearly shocked that he could have behaved like this in these circumstances. Magistrates opted to revoke Swadling’s community order and re-sentenced him for the assault on the pub landlord along with his latest offences. They sentenced Swadling to 18 weeks of custody and ordered him to pay £180 compensation to Mr Stapleton and £180 compensation to Mr McLaughlin.